Great coaching models such as GROW are very useful. Except when your client doesn’t know what they want and doesn’t tell the truth about where they are, so any options they come up with are meaningless, and there’s no way forward. The result of trying to navigate when you don’t know where you’re going and you don’t know where you are is that you stay in the same place, which is called being stuck. The fundamental problem is that your clients don’t tell you the truth, and that’s because they don’t trust you. Yes, yes, I know you spend lots of time on your contracting, and explaining your ethics, and building rapport, but none of that constitutes trust, because trust is based on past experience. And when a new client meets you for the first time, they already know you, very well. They know you because you are their parent, their teacher, the school bully, their last boss and their critical friend. You are the blank canvas onto which they project the very experiences that prevent them from getting to where they want to be. You are both the enabler of their hopes and dreams, and a reminder of their darkest fears. You don’t have to spend time identifying the obstacles in front of them, the obstacle is you. As they say, what is in the way is the way. And that’s the issue. They couldn’t tell you any sooner, because they didn’t trust you. They already knew that, presented with their most valued aspirations, you would scoff, or laugh, or dismiss their ideas out of hand. They knew that you would ridicule them and tell them that they’re living in cloud cuckooland. Because that kind of dismissive feedback is what has prevented them from taking action before now. Of course, something has recently changed, because they have decided to talk to you. Yet still, they tip-toe forwards very, very carefully. "I want to be able to trust people." For a coach who can’t get the client past this point, the process will go round in circles. So how to get the client unstuck, without the inconvenience of taking weeks or months to build trust? 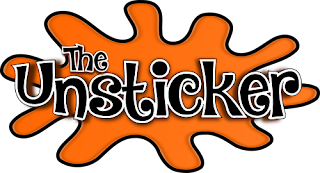 Enter The Unsticker! "I am always anxious about almost everything. I want to be more relaxed and able to do every day things without constant worrying." As a coach, what questions would you ask? Take a moment to think of a few examples that come to mind. What do all of your questions have in common? Obviously that they are relevant to the problem. And right there is the problem. The problem is not the problem. What the client describes is not the problem, it is a representation of the problem. Because the client has not yet found a solution, the problem is insoluble, and they will both describe it and represent it as such, typically using a familiar phrase such as, “I’ve tried everything and nothing works”. So, give up all hope, ye who enter here. Don’t even try. It can’t be done. It’s impossible. What the client wants is not a solution but comfort that you couldn’t find a solution either, so that’s OK, they’re not stupid. And they’re definitely certainly absolutely not afraid. Therefore, asking questions that are relevant to the problem is reassuring, which is what the client really wants, but it is not helpful, which is what they client says that they want. And is probably what they really really want.